Congrats to Darren & Natalie! Such a pleasure designing this modern wedding invitation card for them. 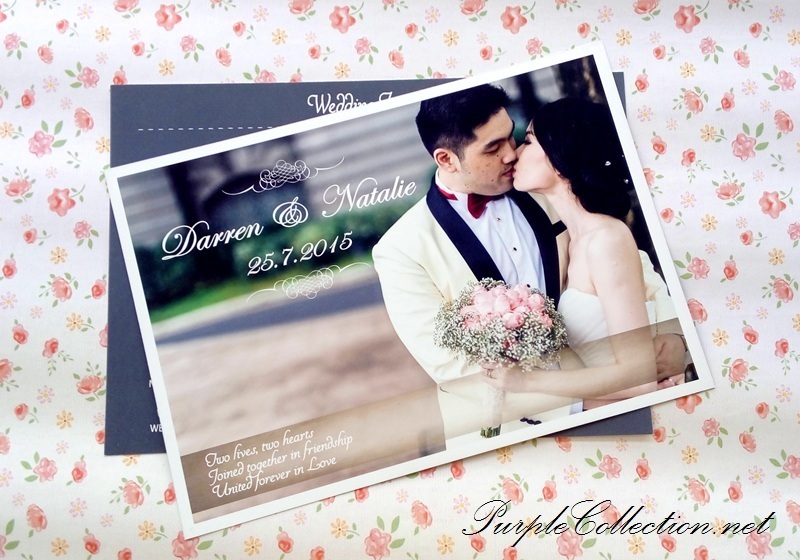 Would you like to have your own wedding photo invitation card printed? 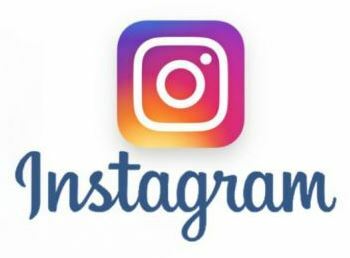 Feel free to drop us an e-mail and we will be in touch with you very soon. 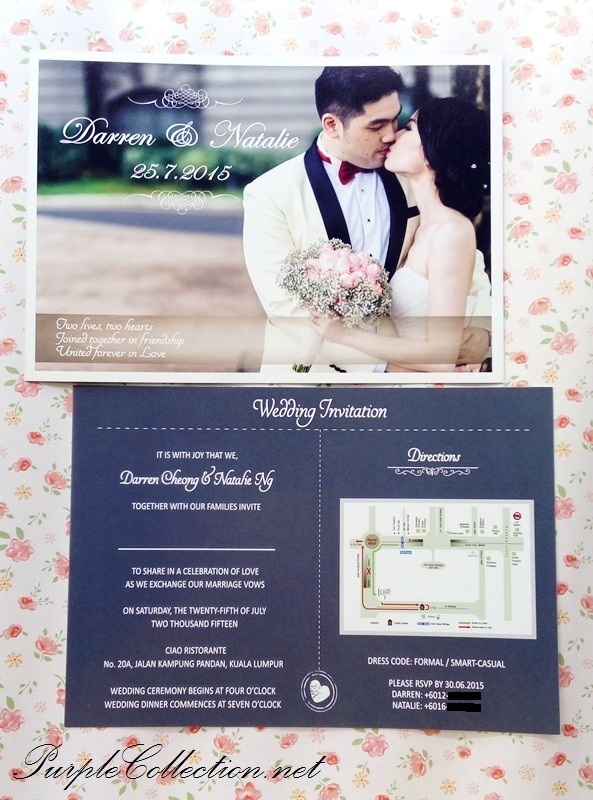 To inquire about photo wedding invitation card printing, please submit your inquries here for quotation.